A nordic combiner once told me that oofta is an old norwegian word for gross… atleast that’s what his grandmother told him. I have never met said grandmother or even know if she’s norwegian or not, but I’m going to go with it. And so if I had to pick one word to describe this past week I would pick oofta! I shot pretty poorly. and by pretty poorly I mean really quite horrendously. and incredibly embarrassing. For me these races weren’t super important but I was definitely looking forward to proving that all my work on the shooting range was paying off. But instead of showing off my hard work it was a disaster. a complete and utter disaster. Earlier this year we (my former coach and I) had set a goal of trying to average 60% or better consistently and after my last time trial in canada where I shot 80% I had pretty high aspirations going into this set of races… I’m not sure exactly what happened, but needless to say I would like to put the shooting behind me and look forward to improving on them. 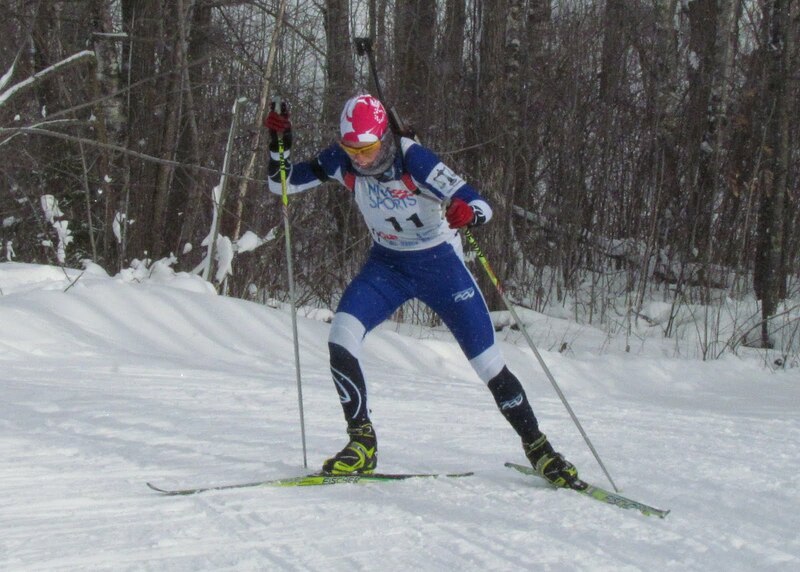 After easily skiing anywhere from 1 to 2 extra kilometers in the first two races we decided that we had to try something different in the final race of the series. I skied the first 4 loops at threshold, so well below race pace, the idea was to lower my intensity level to try to help me focus on the range. It didn’t seem to help… so onto something new. I’ll just have to keep working. So maybe shooting doesn’t come as easily to me as it does to others. So maybe I will have to work harder than my team mates and fellow competitors. So that’s what I’ll do. On the other hand… I skied really well this week. I felt good skiing. I felt like I could really go fast. I really enjoyed myself out there on course and had a good time going hard. I understand I can’t make up how many shots I missed this past week but I sure gave it a good go out on course. When they told me to ski easy today I wasn’t sure if I was going to be able to. Its kind of like giving a kid a bag of candy and telling him he can only eat a piece a day. It was hard, but I did a good job of staying calm, distracting myself by focusing harder on technique and less on the chase. You have NO idea how excited I was when I finally got done with my final shooting stage and got to go haul around the course. but you know… it was the perfect end to a very frustrating week.